Having Bad Dreams About A Flooded Basement? If sump pump failure or a flooded basement worries every time it rains, you Should read this. Water can soak into walls, weaken your foundation, and cause poisonous mold and mildew. Homeowners can waste a fortune each year… all from a simple power outage. And much of it may be covered by your insurance. Your “Right Now” Solution. 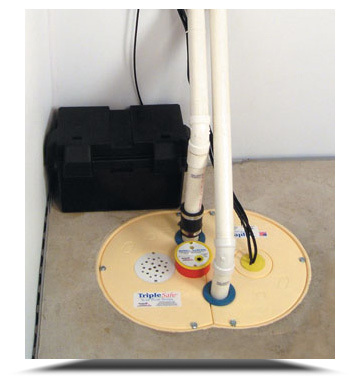 A sump pump back-up system comes on when too much water enters your basement, or if your “regular” pump fails from a power outage. How? They need no electricity! and installation only takes about two hours. An ounce of prevention… Can save you countless thousands. Call for your free estimate today! Call 610-365-8336 Now! For Fast Same Day Sump Pump Service.